In this article, we profile the 30 best online master’s in computer science degree programs for 2017. The computer science industry is always changing, and one of the best ways to advance your career is to earn a graduate degree in the field. One example is the online master’s in computer science. 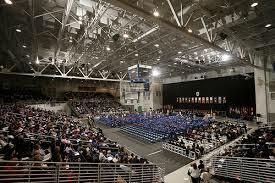 Earning a graduate degree takes time, and earning one from a high quality institution might mean relocating to a new area or changing employers. These are often not viable options for computer science professionals. Because one of the keys to success in the field is staying on top of the advances, leaving the field to earn a degree often has the potential to set you back in your career. This is where earning a master’s in computer science online while you work can be an ideal solution. We reviewed over 70 accredited colleges and universities that offered online master’s in computer science or related degree programs like computer engineering or network technology. The original pool of schools was listed by the National Center for Education Statistics (NCES College Navigator). We looked at university or program rankings with major publications like Forbes magazine or U.S. News and World Report and selected institutions that had received regional, national, or program rankings. We then listed the schools in order of affordability. Below are the resulting selections for our top 30 online master’s in computer science degree programs for 2017. University of Southern California’s Viterbi School of Engineering offers a top online master’s in computer science. 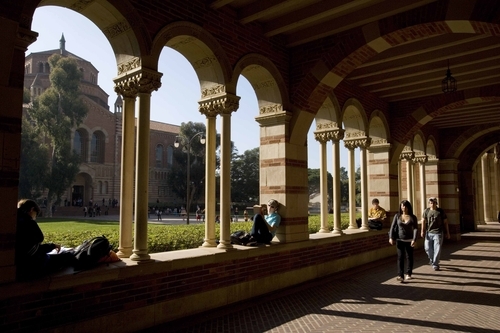 University of Southern California’s Viterbi School of Engineering offers an accredited online master’s in computer science to professional engineers through the Distance Education Network. A broad spectrum of courses are taken in areas of computer science, computer engineering, and desired areas of specialization like computer networks, data science, game development, intelligent robotics, or software engineering. Some of the required courses include analysis of algorithms, foundations of artificial intelligence, and web technologies. Admission to the program requires an undergraduate degree in engineering, math, or hard science, a satisfactory cumulative undergraduate GPA, and satisfactory GRE test scores. The university is ranked by U.S. News and World Report as a top national institution and best value school. Also, the online graduate computer technology programs are ranked #1 in the country. Johns Hopkins’s online master’s in computer science has focus tracks to help tailor your degree. The Whiting School of Engineering at Johns Hopkins University offers some of the best online computer science degree programs in the country, including the online master’s in computer science. The graduate program is available entirely online with a concentration in communications and networking and several focus tracks. Focus tracks allow students to tailor their degree toward career goals or personal interests in cybersecurity, data communications and networking, data science and cloud computing, enterprise and web computing, and software engineering. Admission is highly competitive and requires a strong undergraduate GPA, although GRE scores are not required. 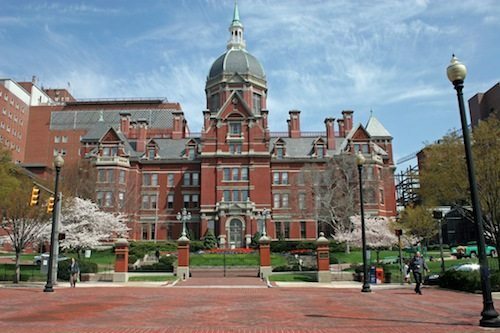 Johns Hopkins is ranked by U.S. News and World Report as a top national institution and best value school. Also, the online computer graduate programs are ranked #6 in the country. Boston University’s online master’s in computer science is a top ranked program. Boston University’s computer science master’s degree online programs have seven available concentrations and can be completed in 18 to 24 months. A total of 40 credits are required to complete the degree, with courses taken online and taught by the same expert faculty who instruct on campus. Concentrations provide students with the opportunity to tailor their degree toward career goals or personal interests. Concentrations include computer networks, data analytics, database management and business intelligence, health informatics, IT project management, security, and web application development. Admission is competitive and requires a strong undergraduate GPA. 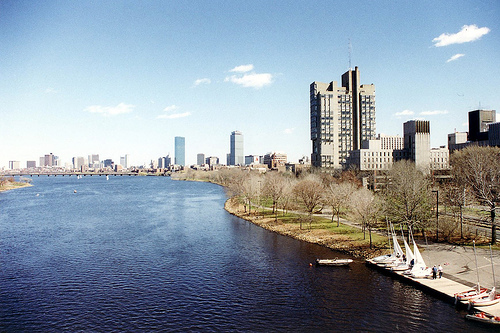 Boston University is ranked by major publications like Forbes magazine and U.S. News and World Report as a top national institution. Also, the online graduate computer programs are ranked #4 in the nation. Stevens Institute offers an accredited online computer science master’s degree. Stevens Institution of Technology offers an accredited online master’s in computer science degree that is designed to equip students for careers in computer science leadership roles or prepare them for computer science doctoral programs. The program is available entirely online with classes taught by the same professors who instruct on campus. These courses include concurrent programming, data mining and knowledge management, interactive computer graphics, introduction to operating systems, principles of programming languages, and privacy in a networked world. Several elective areas are also available so that students may tailor their degree toward interests and career goals. 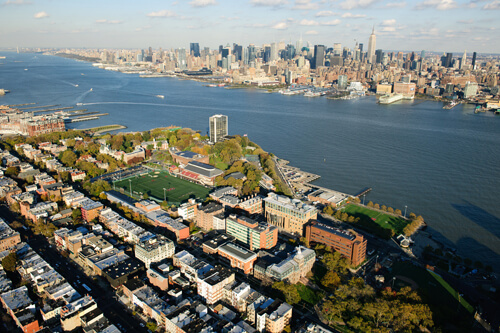 Stevens is a nationally ranked institution by U.S. News and World Report. Also, the online graduate computer programs have earned a ranking of #15 out of more than 1,200 surveyed programs. Stanford’s online master’s in computer science program is top-ranked. 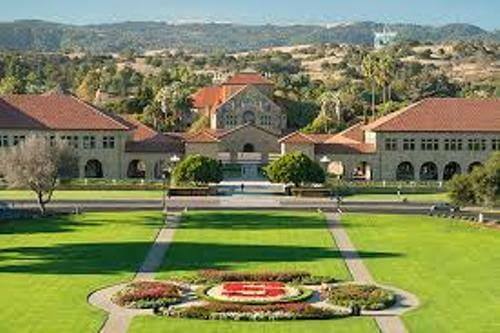 Stanford University’s online computer science degree programs are ranked among the top in the country. The computer science MS degree requires 45 credit hours and can be completed entirely online. The program offers ten approved specializations so that graduate students may tailor their degree toward areas of interest or to match career goals. Some of the concentrations include artificial intelligence, computer and network security, database systems, software theory, systems, and theoretical computer science. Admission to the program is competitive and requires at least a 3.0 undergraduate GPA. Part-time and full-time completion options are available with a finishing time of 3 to 5 years. Stanford is ranked by U.S. News and World Report as the 5th best national university in the country. Computer science classes are offered in Worcester Polytechnic’s online master’s in computer engineering program. One option to the computer science master’s degree online is earning an online MS in computer engineering from Worcester Polytechnic Institution. The computer program combines electrical and computer engineering into a single advanced degree that prepares students for careers in a broader area of computer science. Courses cover a foundational series of topics in computer architecture and digital electronics and expand on areas such as power systems, radio and microwave engineering, and systems engineering. Admission to the program requires a bachelor’s in electrical engineering or electrical and computer engineering and a competitive undergraduate GPA. 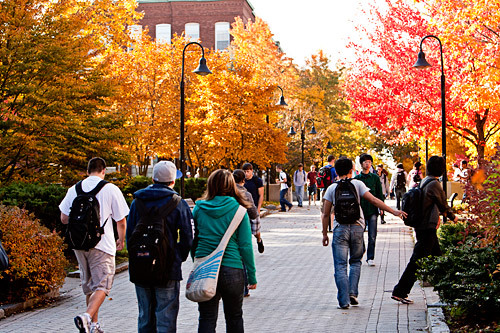 Worcester is ranked by major publications like U.S. News and World Report as a top national university, and its computer engineering graduate programs are ranked #40 out of more than 1,200 surveyed programs. Clarkson’s online master’s in computer science offers research opportunities. Clarkson University’s master’s in computer science online program is designed to increase the fundamental knowledge of computer science students and provide them with experience in applicable research. The program explores topics in computational theory, hardware integration, information technology, programming languages, and software systems. Online classes cover a series of foundational courses and electives that allow students to build on areas of interest. All students must complete a research proposal and project by the end of the program, and orally defend their thesis. 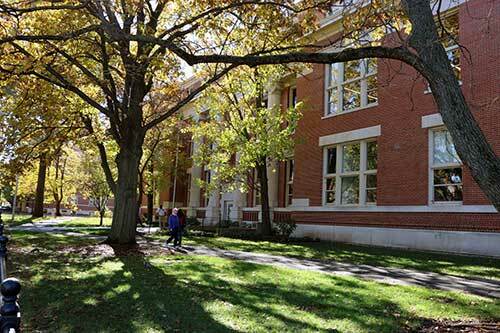 Clarkson is a nationally ranked institution by U.S. News and World Report and ranked #19 among the best value schools in the country. 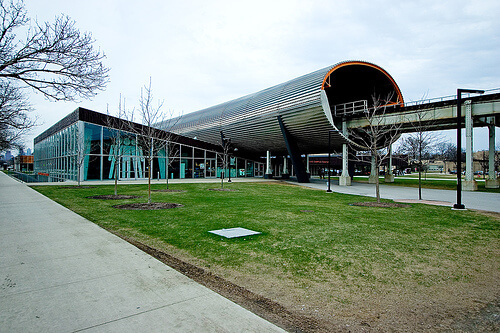 Illinois Institute of Technology is a top-ranked school for online master’s in computer science degrees. The College of Science at Illinois Institute of Technology offers an accredited online master’s in computer science degree program that requires a total of 30 to 33 credit hours to complete. Classes are offered in various formats, including online and on-demand delivery. The program offers eight specialization areas so that students may tailor their degree toward interests or career goals. Some of the specializations available include computational intelligence, data analytics, distributed and cloud computing, information security and assurance, and software engineering. Business and finance specializations are also available and require 33 credit hours of coursework to complete. 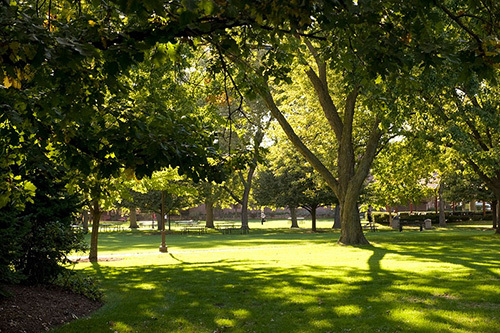 Illinois Institute is a nationally ranked institution by U.S. News and World Report. Also, the school’s online graduate computer programs have earned national recognition in recent years. Syracuse University’s online master’s in computer science mirrors the on-campus program. One of the best online computer science degree programs on our list is the master’s in computer science from Syracuse University’s College of Engineering and Computer Science. The program is designed for skilled professionals with experience working in computer science or a closely related field. Coursework is delivered online, and classes are taught by the same university professors who instruct on campus. Courses include advanced computer architecture, design and analysis of algorithms, and principles of operating systems. Syracuse University is ranked by U.S. News and World Report as the 60th best national university in the country and 44th best value school. Also, the online graduate computer programs have earned a ranking of #17 out of more than 1,200. 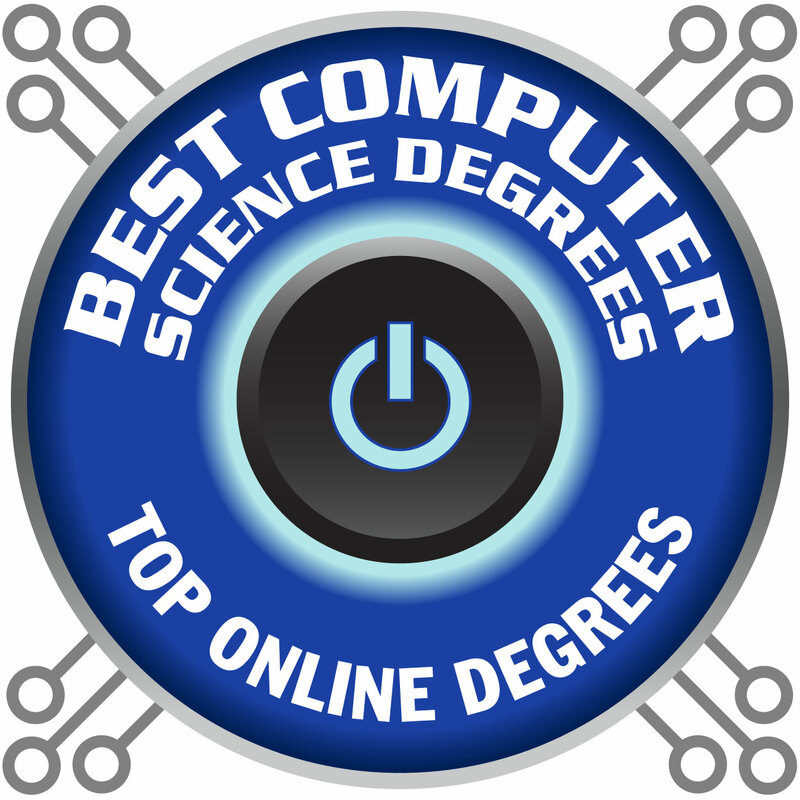 Hofstra University’s online computer science degrees are top-ranked and accredited. Hofstra University offers a master’s in computer science online program that is the exact degree that on-campus students receive. All course materials are delivered online in a manner that allows access at anytime. Two available concentrations allow students to tailor their degree toward career goals in either networking and security or web engineering. Admission requires the completion of a bachelor’s degree from an accredited institution, an undergraduate GPA of 3.0 or better, and competitive GRE scores. Hofstra is ranked by major publications like U.S. News and World Report as the 133rd best national university and 63rd best value school. DePaul University’s online computer science master’s degree program is top ranked. DePaul University’s computer science master’s degree online program is one of our top listed computer degrees. DePaul offers online courses that are aligned with the same curriculum that on-campus students receive. Online courses include applied algorithms and structures, concepts of programming languages, database technologies, and distributed systems. Admission to the program requires a bachelor’s degree from an accredited institution, a minimum 2.5 cumulative GPA on a 4.0 scale, and completion of the test of English proficiency for international students. 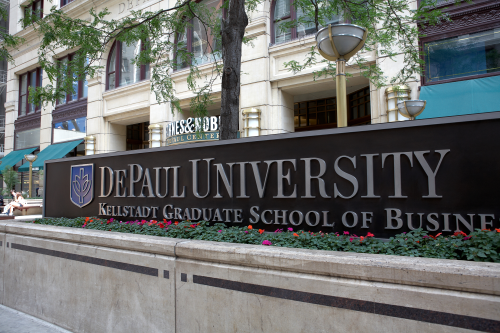 DePaul is ranked by U.S. News and World Report as a top national university and the 70th best value school in the country. University of Bridgeport’s online master’s in computer science is 100% online! The master’s in computer science online program from University of Bridgeport is a regionally accredited program that has received recognition from major publications like U.S. News and World Report. The program is 100% online and designed to fit with busy and working schedules. Classes are delivered in an asynchronous format that allows students the opportunity to study at a time that is convenient to them. Courses include advanced database, analysis of algorithms, data and computer communication, object-oriented programming using C++, and operating systems. As mentioned, University of Bridgeport is ranked and accredited. Also, the online graduate computer programs are ranked #32 out of more than 1,200 surveyed programs. In-demand concentrations are offered with the online master’s in computer science degree at Lewis University. Lewis University’s online master’s in computer science degree program is designed to equip students with bachelor’s in computer science or related degrees to earn advanced skills that make them marketable in the rapidly growing field of IT. The program is customizable and offers three in-demand concentrations so that students may tailor their degree to meet career goals. These concentrations include cyber security, intelligent systems, and software engineering. All courses are delivered online and taught by university professors and industry experts. Students are also required to complete a capstone thesis or research project. Admission requires an earned bachelor’s and undergraduate GPA of 3.0 or better. Lewis is ranked by U.S. News and World Report as the 24th best regional institution in the country. New Jersey Institute of Technology offers a 30-credit online master’s in computer science. New Jersey Institute of Technology has online computer science degree programs designed to equip students with advanced skills for advanced roles in IT and related fields. The 30-credit master’s in computer science can be completed entirely online and in just two years by taking comprehensive classes taught by NJIT professors. Three specialty tracks are available so that the degree may be tailored toward career goals or personal interests. These tracks include the generalist option, database and data mining, and networking. 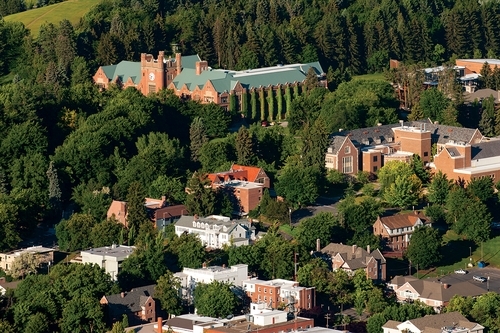 Admission can be competitive and requires an earned bachelor’s in computer science or closely related program major and a strong undergraduate GPA. 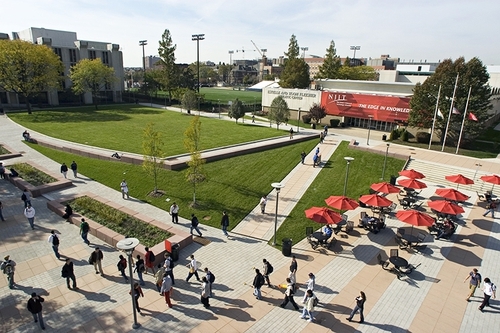 NJIT is ranked by major publications like U.S. News and World Report as a top national university. All online courses! University of Minnesota’s online master’s in computer science. The computer science master’s degree online program at University of Minnesota is an accredited and highly affordable degree. Courses may be taken entirely online, and the 31-credit hour program may be completed in just two years. All courses are taught by university professors and industry experts and include analysis of numerical algorithms, animation and planning in games, modern cryptography, and wireless and sensor networks. Admission to the program requires an earned bachelor’s degree in computer science or a closely related major and an undergraduate GPA of 3.25 or better. 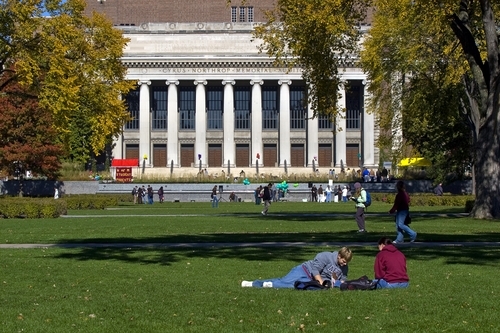 University of Minnesota is ranked by U.S. News and World Report as the 71st best national institution and 26th top public school. Also, the online graduate computer technology program have earned recognition. Georgia Tech offers an online master’s in computer science degree program. 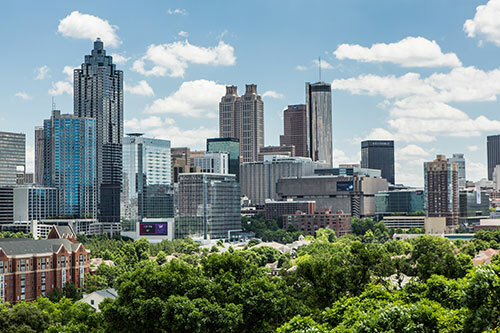 Georgia Institute of Technology’s master’s in computer science online degree program is one of the few accredited and affordable online master’s programs that can be earned through the Massive Open Online Course (MOOC) delivery format. Courses are taught by the same university professors who instruct on campus. There are four available specializations currently available so that students may tailor their degree. These specialty tracks include computational perception and robotics, computing systems, interactive intelligence, and machine learning. Georgia Tech is ranked by major publications like U.S. News and World Report as the 34th best national university. The online master’s in computer science program at University of Hawaii is top-ranked. 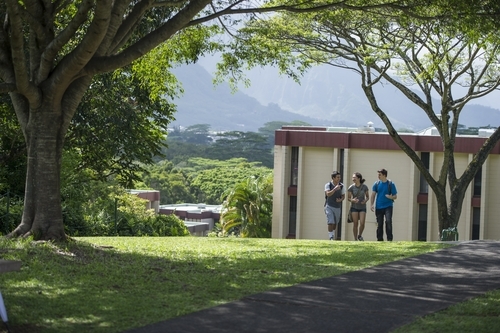 The master’s in computer science online degree program from University of Hawaii at Manoa is a top-ranked program that can be completed entirely online. The master’s level program is designed for working students who are better suited for online courses rather than attending face-to-face on-campus classes. There are no prerequisites between master’s level courses, although an undergraduate degree or training in computer science is required for admission. Classes are taught by university professors who regularly instruct on campus. The institution is ranked and accredited. 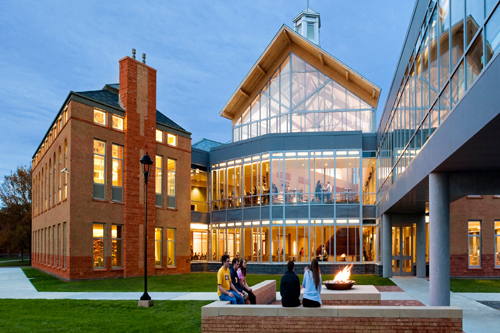 In fact, U.S. News and World Report ranks the school as the 169th best national university and 89th top public school. University of Illinois offers an affordable online master’s in computer science. The University of Illinois offers an online master’s in computer science degree program that is led by highly educated faculty and distinguished leaders in the field. The program may be completed entirely online with classes taught by the same professors who instruct on campus. These courses include 32 credit hours of graduate studies in computer programming, computer organization, data structures, and programming languages. Admission to the program requires an earned bachelor’s degree in computer science, which includes a series of prerequisite courses. 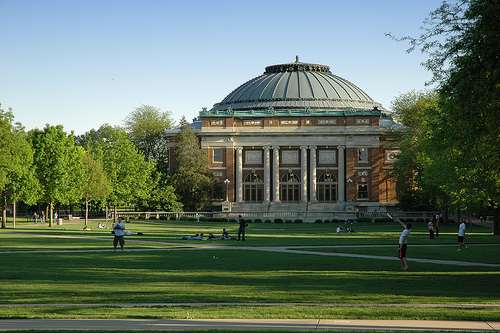 University of Illinois is ranked by U.S. News and World Report as a top regional university in the Midwest. The online master’s in computer science from University of Louisville is a highly affordable degree. 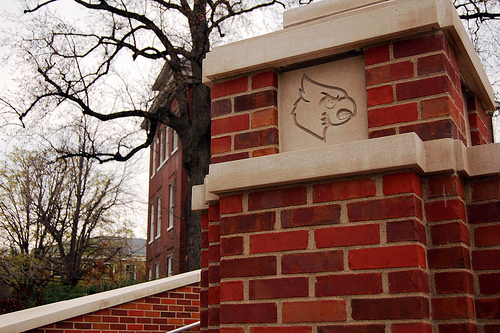 The online master’s in computer science degree at University of Louisville is offered through the school’s J.B. Speed School of Engineering and can be completed 100% online. Courses are taught by award-winning faculty and are offered year-round. Two graduate certificates can be added to the degree by taking additional classes and satisfying requirements. These certificates include cybersecurity and data science. Online courses include computer networks, evaluation of computer systems, experimental design, introduction to databases, simulation and modeling discrete systems, and software engineering. University of Louisville is ranked by U.S. News and World Report as the 171st best national university and 90th top public school. Also, the online graduate computer programs are ranked #25 out of more than 1,200 surveyed programs. Colorado Tech’s online master’s in computer science is a top ranked degree program. 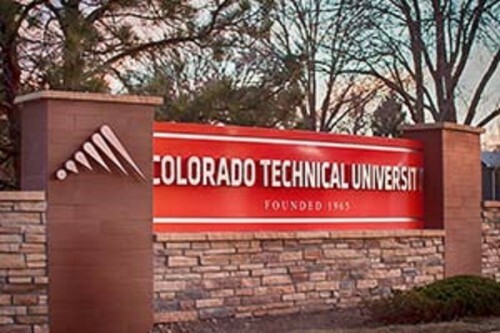 Some of the most affordable online computer science degree programs on our list are offered by Colorado Technical University. The 48-credit hour master’s in computer science can be completed entirely online. Classes are taught by university professors with experience in the IT field. Coursework covers a broad foundation of computer science concepts, theories, and practices. Some of the courses include design and analysis of algorithms, modern operating systems, and systems engineering methods. During the last quarter of the program, students are required to complete a capstone project to showcase what they’ve learned. Colorado Tech is ranked by U.S. News and World Report as a top regional university in the West. Also, the online graduate computer programs are ranked #38 out of more than 1,200 programs surveyed by U.S. News. Purdue’s online master’s in computer science is highly affordable. Purdue University’s master’s in computer science online degree program is designed for students who want to complete an off-campus degree that will advance their skills in computer science. This non-thesis online program offers courses taught by the same professors who instruct on campus. Courses include digital literacy, introduction to scientific visualization, software security, and topics in big data systems. Admission to the program is selective, although GRE scores are not required. Purdue is ranked by U.S. News and World Report as the 60th best national university in the country, and several of its online graduate programs have earned top rankings. Specialization options! 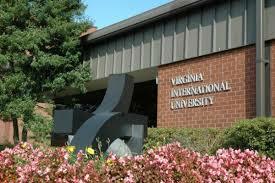 In Virginia International’s online master’s in computer science. Virginia International University offers an accredited online master’s in computer science with several specialization options. These specializations allow students to tailor their degree toward personal interests or career goals. Specializations include data management, networking, and software engineering. The degree can be completed entirely online with classes taught by university professors and experts in the field. Courses include data management, database management systems, design and analysis of algorithms, operating systems, research methods, and software engineering. A capstone project showcasing what the student has learned through the program is also required. Virginia International is a senior college accredited by the Accrediting Council for Independent Colleges and Schools. 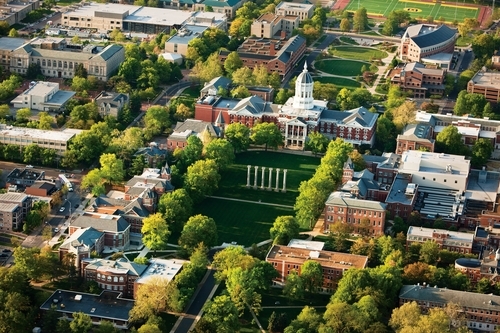 Missouri University of S&T is a top school for online master’s in computer science degrees. Missouri University of Science and Technology offers an online master’s in computer science degree program with emphasis areas in critical infrastructure protection and software engineering. A total of 31 credit hours of coursework are required to complete the degree, and thesis options are available for those interested. Admission to the program requires a bachelor’s degree in computer science or related discipline and a minimum 3.0 GPA or the completion of prerequisite courses. Courses are delivered online and are taught by the same faculty members who instruct on campus. The institution is ranked and accredited. In fact, U.S. News and World Report ranks the school as the 164th best national university and 87th top public school. Also, the online graduate computer programs are ranked #6 out of more than 1,200 surveyed programs. Dakota State’s online computer science master’s does not require the GRE for admission. Dakota State University’s online computer science degree programs include the customizable online master’s in applied computer science. This degree program allows students to choose courses and a specialization outside of the required foundation classes. Courses in cyber operations, information assurance, and information systems may be added to the overall program load to allow students to tailor their degree toward career goals and interests. To apply, students need a bachelor’s degree in computer science from a fully accredited institution and a minimum GPA of 3.0 on a 4.0 scale. There is no GRE requirement for admission. 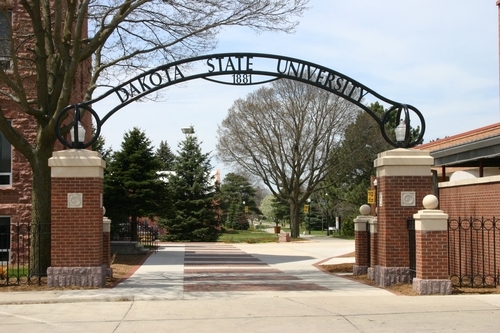 Dakota State is ranked by U.S. News and World Report as the 108th best regional university in the Midwest and 32nd top public school. Strong GPA required for NC State’s online master’s in computer science. One of the top computer science master’s degree online programs is offered by North Carolina State University and led by nationally recognized faculty. The program is delivered online with courses provided by streaming video over the internet. The 31 credit hour degree program does not require a thesis, final oral examination, or on-campus residency. 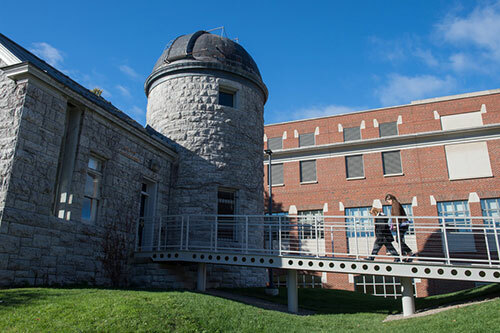 Admission to this top-ranked computer program is competitive and requires a minimum undergraduate GPA of 3.0 with classes in differential and integral calculus, statistics, and computer science. The completion of the general GRE is also required for all applicants. 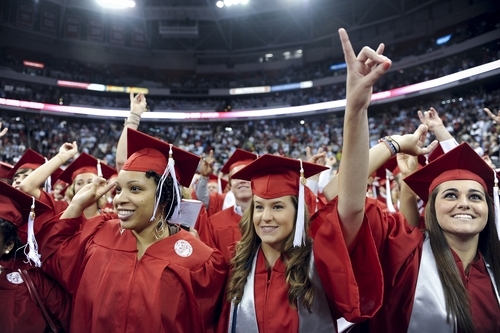 NC State is ranked by U.S. News and World Report as the 92nd best national university in the country and 62nd best value school. Also, the online graduate computer programs are ranked #6 out of more than 1,200 surveyed programs. 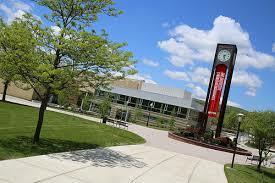 Frostburg State University’s online master’s in computer science is ranked and affordable. The online master’s in computer science from Frostburg State University is an accredited program designed to prepare students for careers in various fields of IT and network security. Several specialization options allow students to tailor their degree toward specific career goals or personal interests. These specializations include database, data mining, data warehousing, or generalist. Online courses are taught by the same professors who teach on campus and include database management systems, networking and data communications, and web development and programming. Admission to the program requires a bachelor’s degree from an accredited institution and a GPA of 3.0 or higher. Frostburg is ranked by U.S. News and World Report as the 122nd best regional university in the North and 41st top public school. University of Idaho’s online master’s in computer science is highly affordable. The University of Idaho offers online computer science degree programs, including the master’s level degree. This 30 credit hour program can be completed as a thesis or non-thesis degree and is designed to prepare students to lead in various areas of computer science and technology. Courses are delivered online and taught by the same professors who instruct on campus. Admission requires an earned bachelor’s in computer science or closely related major and a minimum undergraduate GPA of 3.0. In lieu of the GPA requirements, students may provide letters of support and documentation showing they have worked in the field for over five years. The institution is ranked by major publications like U.S. News and World Report as a top public school and best national university. East Carolina University’s online master’s in network technology covers courses in computer science. One of the most affordable type of online computer science degree programs on our list is the master’s in network technology from East Carolina University. This MS degree offers a concentration in computer networking management, which is ideal for those interested in computer science. Three completion pathways are also offered, including the thesis, practicum, or non-thesis route. Classes are delivered online and taught by the same instructors who lead the program on campus. Admission requires an earned bachelor’s from an accredited institution and official GRE scores. East Carolina is ranked by U.S. News and World Report as a top national university and public school and is one of the more affordable institutions on our list. Georgia Southern University’s online master’s in computer science is accredited and top-ranked. One of the most affordable computer science master’s degree online programs on our list is offered at Georgia Southern University. The program can be completed online for students with undergraduate degrees in non-computing disciplines who qualify for admission. Admission requirements include a bachelor’s in computer science or related major, a cumulative GPA of 3.0 or higher, and the submission of general GRE scores. The program offers one of the only data and knowledge systems concentration options in the state of Georgia. 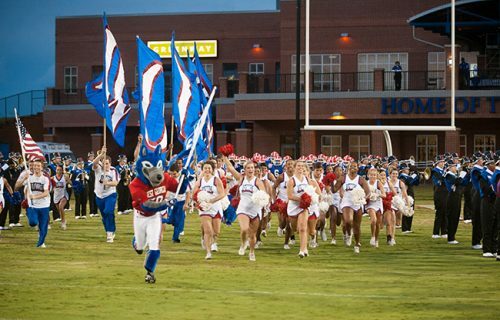 The school is accredited and ranked with major publications like U.S. News and World Report. 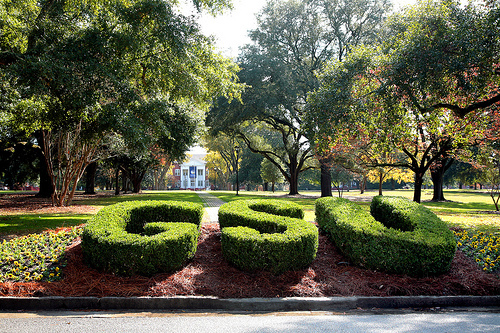 In fact, U.S. News ranks Georgia Southern as a top national institution. Also, the online graduate computer programs are ranked #21 out of more than 1,200 surveyed programs. University of West Georgia is the most affordable online computer science school on our list. The most affordable computer science master’s degree online program on our list is the 24-month applied computer science master’s at University of West Georgia. This 36-credit hour program can be completed entirely online with coursework delivered via asynchronous and synchronous distance learning technologies. Some of the courses offered include database systems, program construction, software development, system and network administration, and web technologies. Admission to the program requires a current resume, letter of intent, and three letters of recommendation. 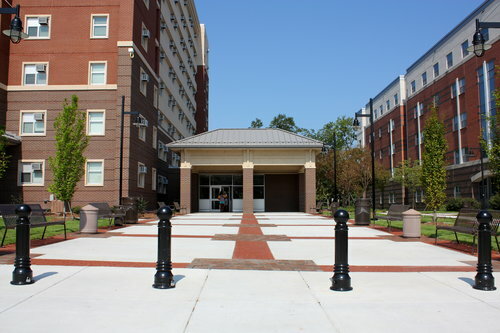 University of West Georgia is accredited and ranked with major publications like U.S. News and World Report. In fact, the school’s online graduate computer programs are ranked #37 out of more than 1,200 surveyed programs. 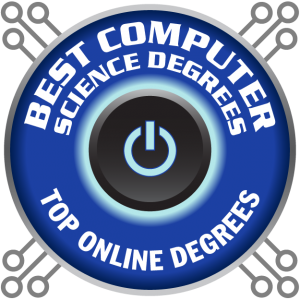 This concludes our list of the 30 best online master’s in computer science degree programs for 2017.